Separately, they are Bill S. Preston, Esquire and Ted “Theodore” Logan. But together they are… the Wyld Stallyns! 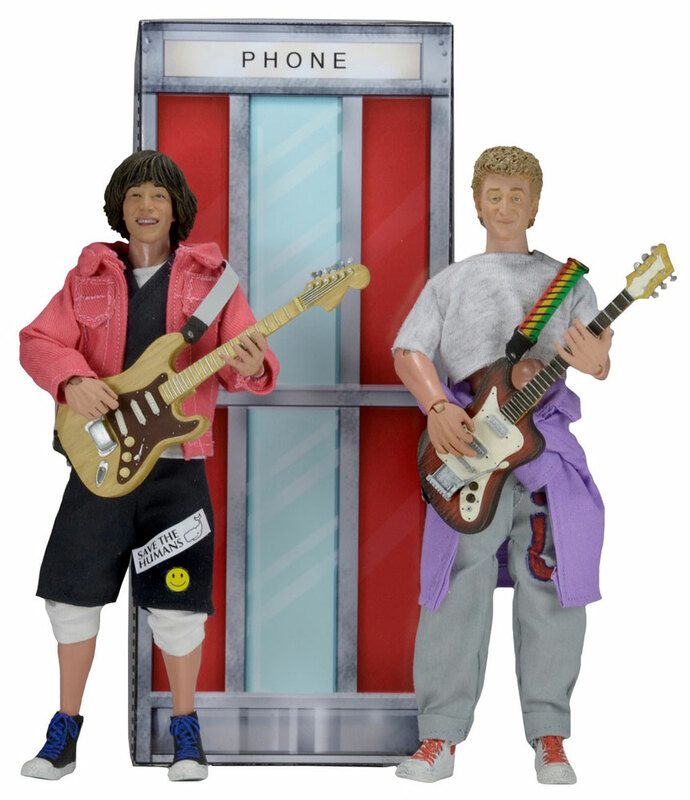 Or, as they are known in the utopian society of the future, the two “Great Ones.” Catch an encore performance by the band in this most triumphant box set of retro clothed action figures from the classic movie Bill and Ted’s Excellent Adventure. Bill and Ted stand 20 cm tall and feature the likenesses of actors Alex Winter and Keanu Reeves. 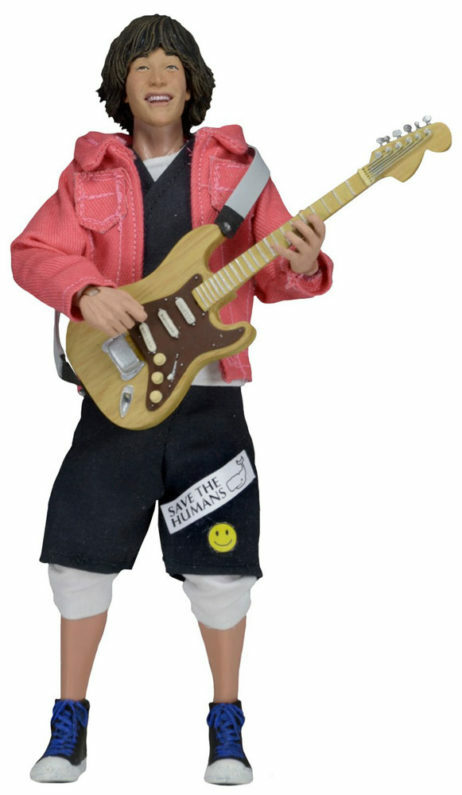 Each poseable figure wears tailored fabric clothing similar to the iconic toy lines of the 1970s and comes with his own guitar. The deluxe box set packaging has a special surprise – punch out the cardboard inserts and assemble your very own phone booth time machine! Booth measures 22 x 10 x 10 cm when assembled.